I scream, you scream, we all scream for free Mayfield Creamery Moose Tracks Ice Cream! The 10,000 Scoop Challenge is a FREE city-wide ice cream social to benefit The Salvation Army of Broward County to support vital programming. 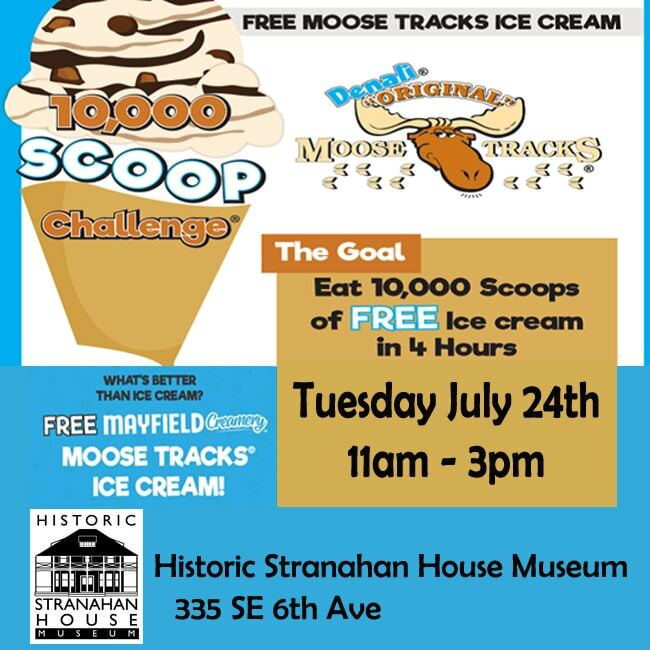 Join us at the Historic Stranahan House Museum as we host the 10,000 Scoop Challenge and enjoy FREE ice cream! One scoop equals $1 raised for charity! For every scoop eaten, Moose Tracks will donate $1, with the goal of scooping 10,000 Mayfield Creamery Moose Tracks Ice Cream cones for the Fort Lauderdale community.